November is the month of gratitude. As I wake this morning, looking forward to the next holiday to come, I think of what I am grateful for today. There is so much. And so many people, the first of which are my parents. Where to begin? They are far from perfect, flawed like us all. 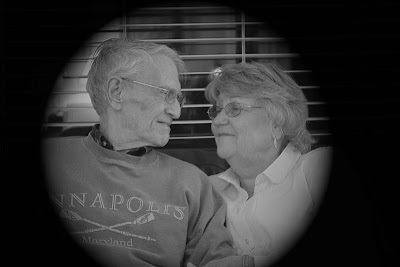 But through the shear number of years, they have experienced so much and have moved through it all to get to a place where they are grateful for every day they spend together and with those they love. They recently spend many days here, nursing me after a surgery, playing with my sons, chauffeuring them to karate, scouts, school and more. They were tireless, taking on my duties like a young couple. My gratitude to them extends much beyond these past few weeks. While there were times when I may not have felt this way, I am now at the point in my life to recognize the sacrifices and struggles my parents endured to raise my brothers and me. It wasn't easy. Issues abounded. It was a family with all the requisite flaws. We have the scars to prove it. But through it all, their love for all of us and each other endures. And truly they are the example of living a life of gratitude. Each day, better than the one before. very sweet post Courtney...with age comes a little bit of wisdom and a whole lot of perspective...love this picture too btw!